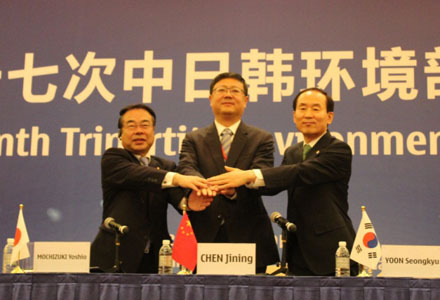 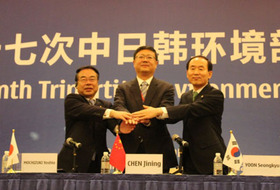 The three Ministers of the Environment attended TEMM17 and adopted the New Tripartite Joint Action Plan on Environmental Cooperation from 2015 to 2019. They also agreed to strengthen cooperation to address the issues such as air pollution including PM2.5. 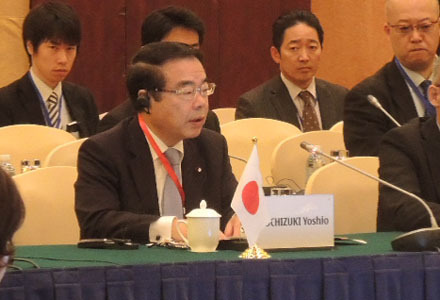 Minister Mochizuki explained Japanese Policy on the environment. 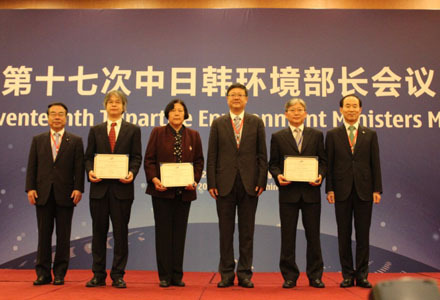 Mr. Osamu Abe, a Japanese professor at Rikkyo University (second from the left), received the TEMM Environment Award. 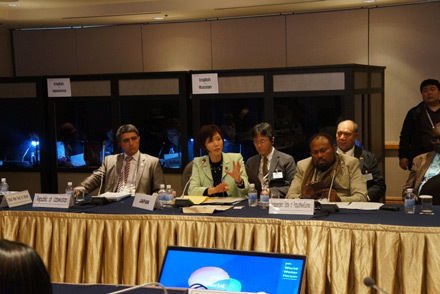 Ms. Hinako Takahashi, Parliamentary Vice-Minister of the Environment, attended Ministerial Roundtable on "The 7th World Water Forum," which is the world's largest conference on water. 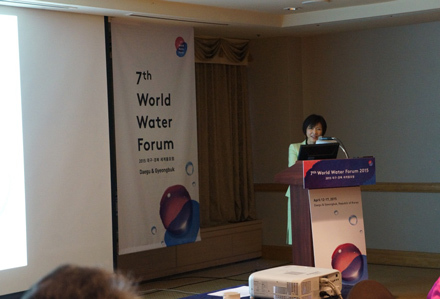 She explained the history of overcoming the pollution in Japan, the measures for the water environment conservation, the global cooperation and the water-related technologies, also discussed the global water issues to be solved. Parliamentary Vice-Minister Takahashi explains Japan’s efforts toward solving water problems. A scene from the Ministerial Roundtable.